This module creates a cross section 2D map from one 3D raster volume map based on a 2D elevation map. It checks if the value of the elevation map is located in the z-coordinate space of the 3D map. 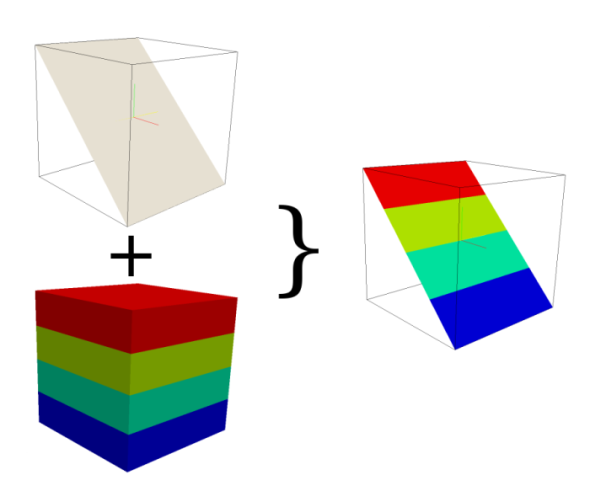 If so, the 3D voxel value for this position is transferred to the related cross section output map cell, otherwise the NULL value is set. If the 2D and 3D region settings are different, the 2D resolution will be adjust to the 3D resolution.